Could there be anything more Valentines-y than chocolate covered strawberry cupcakes? I don't think so. In case you couldn't tell from my last post, I love love LOVE me some over the top, super cliche pink and red desserts this time of year. I mean, what is Valentine's day for if not to eat as much sugar as humanly possible? (calm down, history buffs. I know there's actual history to it too.) For me, February is an excuse to buy as many heart shaped sprinkles as I can and thrown them on everything and everyone I see, both at home and at the bakery. And of course to dip every strawberry (and strawberry cupcake) into a giant pool of chocolate. These cupcakes are something you need for Valentine's Day. 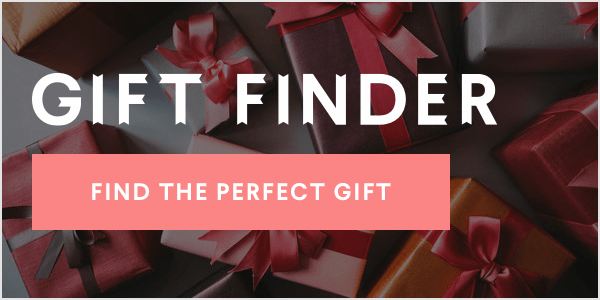 Whether you're married, dating, single, making them for the love your life, your dog or yourself, get these going PRONTO. Please :) I used a slightly different chocolate cake than I normally do because my go-to cake is a little too soft to hold up a giant mountain for strawberry frosting. This cake is butter rather than oil based and it does the job just right. It's also adapted from Sprinkles (the former Chicago love of my cupcake eating life) so you know it's good. The frosting is a roasted strawberry buttercream and I could eat it by the spoonful. Roasting the strawberries provides a little extra flavor all year round, but it's extra essential at this time of year when strawberries are more like flavorless, watery, sometimes-red-if-you're-lucky, annoyances. The holiday of chocolate covered fruits really should come at a time of year when red fruits are in season, just saying. But roasting them with a little bit of sugar will bring all of those flavors right to the front and get them ready to make the most incredible frosting. And then the whole things takes a dive into a bath of dark chocolate. It's the chocolatey, strawberry Valentine dessert of my dreams and I sure hope it makes an appearance at whatever sugar-fueled ragers you have going on next week! Preheat oven to 400. Line a baking sheet with parchment paper. Toss strawberries with 2 tsp. sugar and lay in a single layer on the baking sheet. Roast until the berries are soft and very juicy, about 15-20 minutes. Set aside to cool. Reduce oven temperature to 350. Line a 12 cup muffin pan with paper liners. In a stand mixer, beat the butter and sugars for the cupcakes until light and fluffy, 2-3 minutes. Add the eggs one at a time, beating well and scraping after each addition. Add the vanilla and beat for 1 minute more. In a small bowl, sift the dry ingredients and whisk to combine. Add the dry ingredients, alternating with the buttermilk in two additions. Beat until just combined. Divide the batter among the cupcake liners. Bake 18-20 minutes, until a tester inserted in the center comes out clean. Once slightly cooled, remove from the pan and cool on a wire rack. Place the cooled strawberries in a blender. If you want smooth frosting, pass the puree through a mesh strainer. I like to leave mine as is so there a flecks of strawberry throughout the frosting. Place the egg whites and 1 cup sugar in the bowl of a stand mixer and whisk to combine. Place the mixer bowl over a pan of simmering water and cook, stirring often, until the egg whites reach 155 on a candy thermometer. Transfer the bowl back to the mixing base fitted with the whisk attachment and beat on high speed for 8-10 minutes. The whites should hold medium-stiff glossy peaks and be cooled to room temperature. Swap out the whisk for the paddle attachment. With the mixer running on low, add the butter a few tbsp. at a time, letting it incorporate after each addition. The butter needs to be room temperature to incorporate properly. Once all of the butter has been added add a pinch of salt and the vanilla, and increase the speed to medium. Beat until the frosting is smooth, fluffy and free of air bubbles, 2-3 minutes. Scrape down the sides of the bowl and add the blended strawberry mixtures. Beat on low to incorporate, then bump the speed back up to medium. Beat until fully combined and silky smooth. Transfer the frosting to a piping bag with a rounded tip. Pipe big ol' piles of frosting on top of each cupcakes. Place the frosted cupcakes in the freezer for at least 30 minutes. This will keep the frosting from melting and sliding off when you dip them in chocolate. Meanwhile, melt the chocolate and oil in a microwave safe bowl. Let cool to room temperature for 10 minutes. Remove the chilled cupcakes from the freezer. Holding a cupcake by the bottom, dip it into the melted chocolate until the frosting is completely covered. Let the excess drip back into the bowl. Return the dipped cupcake to the baking sheet to let the chocolate shell harden and repeat with the remaining cupcakes. 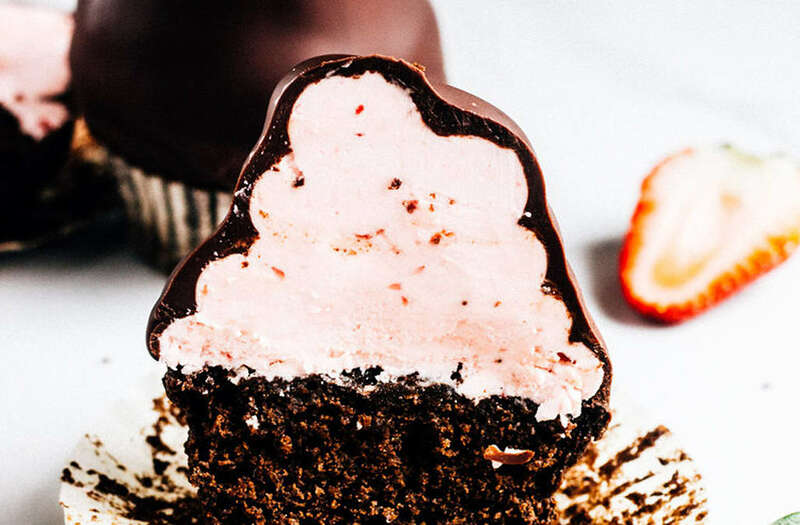 The post CHOCOLATE COVERED STRAWBERRY CUPCAKES appeared first on The Whole Bite.